Nancy Kilpatrick is a writer and editor. She has published 18 novels, 1 non-fiction book, over 200 short stories, 5 collections of stories, and has edited 12 anthologies. in addition to winning several short fiction contests, won the Arthur Ellis Award for best mystery. She lives with her calico cat Fedex in lovely Montréal. As with previous dwellings, this one features Gothic decor, which suits the sensibilities of both residents. When Nancy is not writing, she travels planet earth–the Great Curio Cabinet–in search of cemeteries, ossuaries, catacombs, mummies and Danse Macabre artwork. 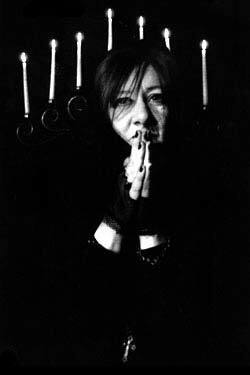 You can find all Gothic.net articles and fiction relating to Nancy Kilpatrick at tag Nancy Kilpatrick.